Create stunning visualizations and intuitive charts from your survey results and share them with teams and clients. 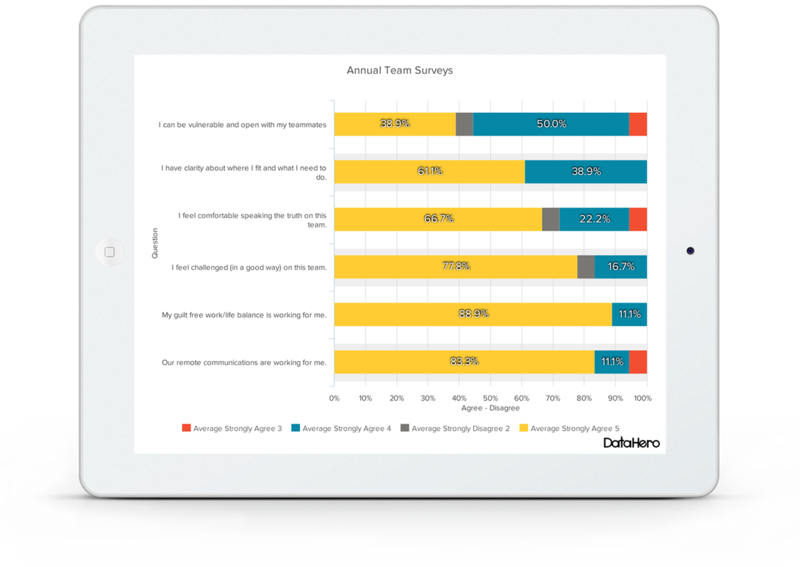 Simply sign-up for a DataHero account and import your SurveyMonkey data with the click of a button. Easy, intuitive drag-and-drop chart creation allows you to visualize your survey results fast, without the cumbersome burden of heavyweight data analytics tools. Filter your survey results, combine datasets and merge survey results, and dive deeper into your responses to get even more insights. Then, easily create reports and dashboards that you can share with teams and clients.